Moyo was an engineering student at the Harare Polytechnic before he moved to the University of Zimbabwe’s Bishop Gaul Seminary for Anglican priests and trained in Theology. 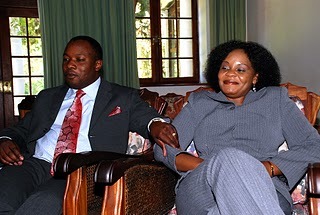 He married Ivy Kombo in December 2001. The problems emerged early on with Kasi said to call Ivy ‘too much’ on the phone even for a foster dad. Moyo told us many people in the Zimbabwe Assemblies of God Africa (ZAOGA) church they used to attend kept warning him saying ‘Ivy mukadzi wa Kasi- Ivy is Kasi’s wife.’ In hindsight Moyo told us it meant people in the church knew what was going on behind his back and that of Kasi’s long suffering wife Sarah. When they got married Moyo told us the honeymoon was a nightmare made in hell with Pastor Kasi calling Ivy now and then. He challenged Ivy on why she was taking so many calls from the supposed ‘foster dad’ especially on their honeymoon. A heated argument broke out with Ivy telling Moyo he was jealous.